GREEN LIGHT: "A very memorable experience" is how Bully describes his 20-plus years of collaborating with Father HoLung & Friends. From Kingston, Jamaica to his native Rousseau, Dominica and further afield, Alwyn Bully's reputation precedes him, heralding his creative brilliance, keen artistic eye and a deft touch when it comes to creating pure theatrical magic that never fails to captivate and astonish theatregoers of all stripes. His most notable triumphs and most profound impact have resulted from the grandeur and electric atmosphere he's brought to musical productions by Father HoLung & Friends since the 1990s. And today, well into his sixties, he's still going strong. More than two decades and countless awards later, Bully has returned to the fold, lending his skills and expertise to this month's King David at the National Arena, serving as creative consultant and mentor to director Greg Thames and musical maestro Wynton Williams. TALLAWAH spoke with the creative whiz about the power of artistic collaboration, reconnecting with his Eastern Caribbean roots, and why he's shooting documentaries now. 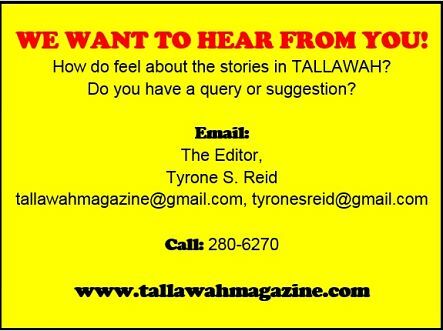 TALLAWAH: Mr. Bully, given that you've been away from the local theatre scene for quite a while, we can't help but ask: What was the last original Jamaican play that captivated you? Alwyn Bully: Last year I got to see If There's A Will There's A Wife and For My Daughter. I enjoyed them both; I thought they were really well-produced works. You saw some true professionalism in the acting department, and I thought they were just fantastic productions on a whole. I admire how Patrick Brown has been able to find that very nice balance between comedy and drama, and provide everybody in the audience with something that they came for. He's an excellent playwright when it comes to capturing Jamaican lives, the likes and tastes of Jamaicans today. TALLAWAH: Indeed. This month find you re-teaming with Father HoLung & Friends for King David. But 1990's Sugar Cane was actually your first creative collaboration with them. What do you recall most vividly about working on that particular production? A.B. : The first thing that springs to mind is the sheer pleasure of working with such talented and professional singers, and only some of them has done musical theatre before. One of the things I like about working with Jamaican actors is the dedication they bring to the craft and that show has some truly exquisite performers like Darcy Tulloch, Wynton and John Williams and Renee Rattray. Really incredible singers. TALLAWAH: As a director, how do you normally approach a work like a Father HoLung musical ― and what's usually your favourite part of doing a show like this? A.B. : It's crucial from the beginning of the process that it's a well-written script, logical and with themes that are well-defined. But the thrill lies in seeing the characters some alive on the stage. I really enjoy directing because you get the double joy of watching the show come to life with strong technical support and watch the audience responding to it. TALLAWAH: How do you feel about Father HoLung's legacy, what he's been able to accomplish with such a vast body of work? A.B. : It's quite an achievement in terms of religious theatre. He started out in the 1960s with some short dramatic works and hymns that are still popular. And then he raised the bar with these epic musicals. Father has a way with melodies. John Jones, who did several shows with him, had heard of my work in the Eastern Caribbean, and so they invited me to come and direct, and I've been a part of the team since then. TALLAWAH: Speaking of your Eastern Caribbean roots, you've returned to Dominica to resume your contribution to nation-building. On the professional side of things, what are you hoping to accomplish in this latest chapter of your career? A.B. : Lately I've been segueing from theatre and more into film. I'm working on a few short films at the moment. Back in the 80s, I made quite a few short films, and I'm giving serious thought to reshooting some of them. And in the meantime I'm also exploring ideas for documentary features on the school system in Dominica. TALLAWAH: Fascinating. How's that been going? A.B. : I'm pleased with the ideas so far. Dominica has a lot of interesting stories to share with the world, but underdevelopment is a serious hindrance. The place is extremely mountainous, hardly any flat land and that causes transportation issues. The theatre community is another concern of mine; it's not as vibrant as it should be, but we're hoping to get the funding to improve on what we can. TALLAWAH: It's hard to dispute that the theatre industry in Jamaica and elsewhere in the region for that matter is rapidly changing. What aspects of the evolution are you pleased with? A.B. : Effective collaboration is still key. To be part of the ultimate theatre-making experience is to have that strong group dynamic that teaches you about the benefits of team work and mutual support. Working with the Father & HoLung Friends team for so long we've developed a kind of shorthand that's been working well for over 20 years now, and it's been a very memorable experience.